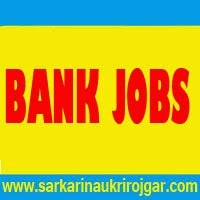 SarkariNaukriRojgar.com is the best website to search for Bank Jobs. In this Section we update Latest News about Bank Jobs like Probationary Officer (PO Officers), Clerk and IBPS Recruitment. Institute of Bank Personnel Selection (IBPS) initiates the conduct of Common Written Examination for the purpose of selecting the candidates from all across the country. Institute of Banking Personnel selection (IBPS) held recruitment examination every year to recruit various staffs like probationary officers, specialist officers and clerk. There are Twenty (20) Public Sector Banks who comes under Institute of Banking Personnel selection (IBPS). Govt Jobs Seekers, who want to join in Government undertaking and public sector Banks can get details of Current Bank Jobs Openings in All Over India. The candidates who are preparing for bank Recruitment must subscribe our free email alert or bookmark this page to get latest updates. Find all the information on this section about all the latest & Upcoming Bank jobs in various banks including both private sector and public sector banks. Get full details of Bank Recruitment such as eligibility criteria, vacancy details, application process, qualifications, recruitment procedure and many more. Checkout the recent employment opportunities in Banking Sector. We have the latest jobs updates of All Bank in India. Start your job search for Bank Jobs 2016.